© Sara Butler. All rights reserved. 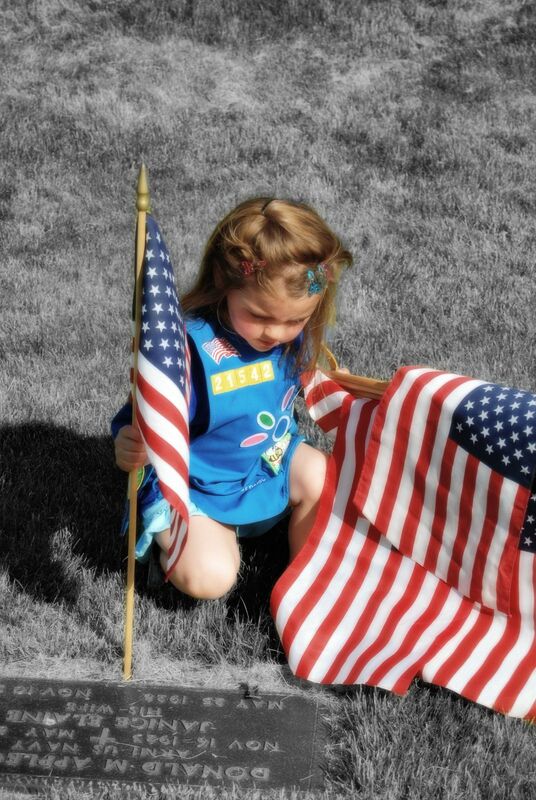 Daisy Scout placing flags on the marker of a Veteran on Memorial Day 2009. Date Uploaded: May 28, 2009, 7:56 p.m.